Our home is comfortable and spacious, but not luxurious, the equipment is basic (with central heating). It's on the second floor and it has 3 levels: 1/ large living room (upright piano) with kitchen and eating area, bathroom and separate toilet; 2/ two bedrooms for children (with access to the balcony), working room, bathroom (with sauna) and wardrobe room; 3/ bathroom on gallery under the roof with double bad. The apartment occupations half of the house in a residential area (of hoses with gardens and not apartment blocks). The whole nice garden belongs to our flat and it's not used by others. We are ¦pela (production manager of theater and music events), Toma¸ (musician and composer) and four children; Devi (12), Aria (10 ), Nuka (10) and Enej (8). We are running a NGO Zavod Sploh (See my Homepage), the Institute for music and performing arts production, publishing and education. We like having friends at home and traveling around in Europe. We have never been on a house exchange before, we just changed houses with friends. We can offer our house from 13th of March to 27th of March, we (Toma¸ and ¦pela) are interested spending one week (from 20 to 27 of March) in New York. We are open for other dates (23rd of April to 1st of May 2011, or in summer 2011, and we can offer you a second flat (modest equipped - no internet, no TV, no hi-fi) too. We are sure that exchanging houses offers people wonderful chance to explore a new country or city as being actual residents. 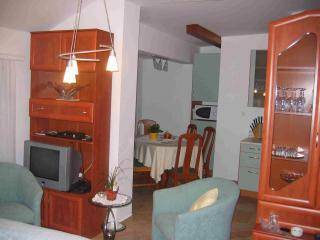 Slovenia is a grate place to discover and we will be happy to guest you in our house. The neighbourhood is very peaceful, safe, comfort and quiet. There is a parking place in front of the house and a garage (we can offer you bikes). 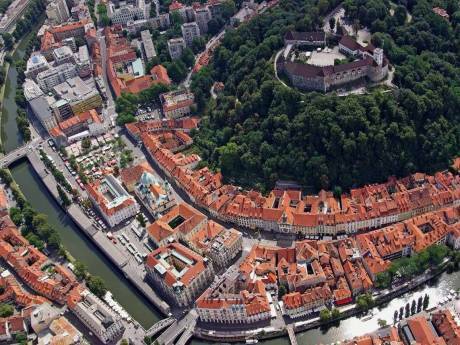 It's not far from the beautiful downtown Ljubljana (twenty minute walk or ten minute bike ride), which can be explored on foot or by bike. By the river Ljubljanica there are a lot of outdoor cafes, small shops, bookshops, galleries and old historical houses. 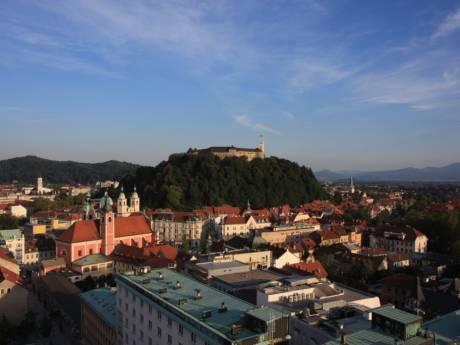 Ljubljana, a mixture of Alpine, Slavic, Austrian and Mediterranean, is located in the center of small Slovenia, so in one hour by car you can go swim in the lake and golfing in Bled, visiting sea side with beautiful Piran, Izola, Koper and diving in the sea, visiting a big and charming Postojna cave, canoing in So?a valley or climbing in the mountains. In one hour you can also across Slovenian's borders for the day or weekend trip to Triest, Udine, Venice (Italy), Graz, Vienna (Austria), Budapest (Hungary), Zagreb, Rijeka and different islands (Croatia). For more comfortable access to this destinations, we can offer you also our car Renault Traffic if we are not traveling with.